This workshop is titled, Abrupt Climate Change: How Will You Show Up During Humanity's Final Chapter? It requires about eight hours of time in a group of humans numbering between two and twenty (inclusive). We offer it online and in person, as described below. A 90-minute session on a weekday evening is followed by a 6.5-hour session the following weekend. We ask that at least one full day pass between the workshop days (e.g., Wednesday and Sunday or Thursday and Saturday, but not Friday and Saturday). A local host will assume responsibility for securing and filling a venue (which may be a personal home). S/he also will be charged with local marketing and finances. We are strongly committed to offering a workshop that is valuable and valued. As such, we expect participants to be familiar with McPherson's message. A short video clip and other germane information will be sent sufficiently far in advance for all participants to study the evidence before the workshop commences. 0:45-1:15 Making it Personal: Assign, describe, and complete the Loss-History Graph. 1:15-1:30 Assign and describe Relationship Graph and Letter to be Written. What does "pursuing excellence" mean to me? How do I move, or not? What will a host need to provide for a successful workshop? 1) Flip Chart and markers (make up flip chart pages ahead of time) or a projector. A room or space that can hold the registered participants comfortably and be able to break into smaller groups for discussion. 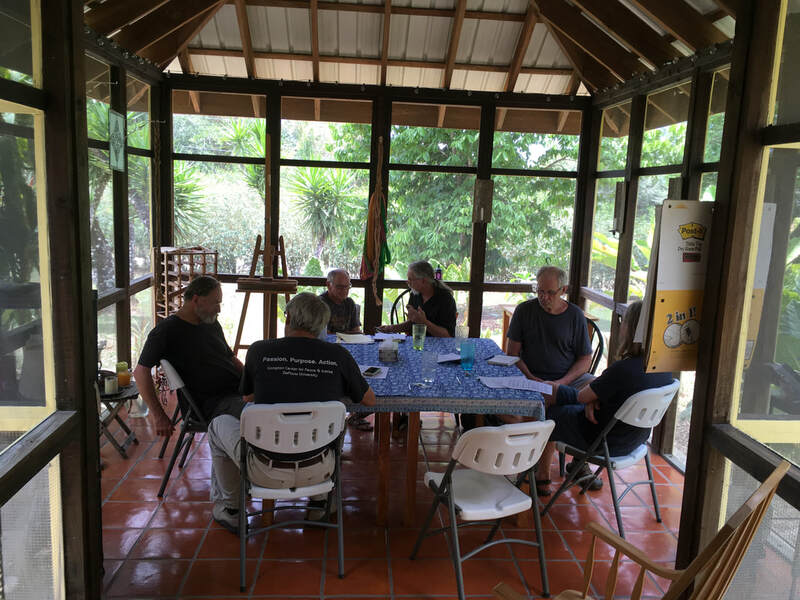 2017 OLR workshop in Belize.